Even the most well-intentioned changes aren’t always met with excitement. 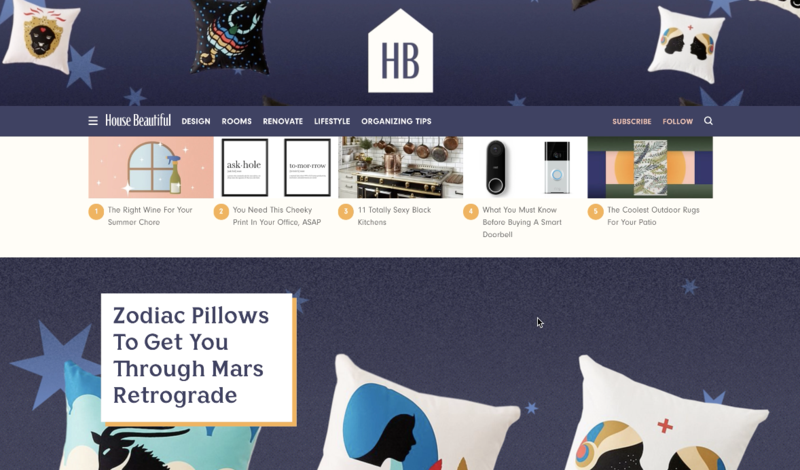 House Beautiful, the 100-plus-year-old publication owned by Hearst, learned that lesson last week as it debuted a digital redesign—created by a team not affiliated with its print magazine—featuring a youthful logo and commerce-driven content. The announcement, which took over Instagram feeds with a nine-part video series, alarmed many followers with its snarky voice and entertainment focus. “Did House Beautiful get hacked?” quickly became a common query within the brand’s social engagement. For many design enthusiasts, a post promoting the made-up term “ask-hole” (defined as a person who constantly asks for your advice, yet always does the opposite of what you told them) was off-brand enough to cut ties. “Let me know when a grown-up is back in charge,” signed off one commenter. Corporate shifts within the media company have alluded to a digital rebranding for some time. Hearst announced earlier this spring that Joanna Saltz, Delish.com’s editorial director, would be the first editorial director of HouseBeautiful.com. (Saltz was said to be serving the same capacity at both titles.) The overall digital strategy, which is still in development, was conceived by Saltz and Troy Young, the new president of Hearst Magazines. Today’s digital headlines on House Beautiful include more four-letter, sailor speak than longtime former editor Elizabeth Gordon would’ve likely ever let pass through the copyediting desk, while interiors by print regulars like Bunny Williams and Marshall Watson have been passed over in the digital feed for a tour of Cardi B’s nursery and light-up pool floats. Generally known for discovering the next wave of design talent (one in five of its print subscribers is a design professional, according to the media kit), House Beautiful is shifting its digital focus toward commerce and video, creating a channel where inspiration meets entertainment. Does innovation mean leaving behind the House Beautiful that designers know and love? By the look of its social feed, the answer may be affirmative. “I’ve been a faithful fan and subscriber since 1970 … this makes me sad,” comments one follower. “When I think of all the pages saved and torn from magazines, how I first learned of Sister Parish, Bunny Williams, Mario “The King of Chintz” [Buatta] … and I could go on and on. Obviously, I’m no longer the target audience.” And with that, the commenter signs off—with a crying emoji.